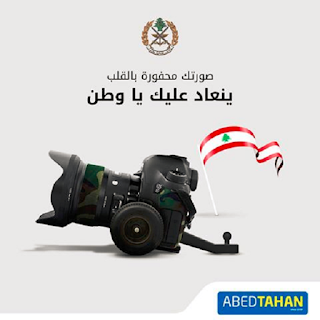 What Khoury Home could not do in terms of blending their brand to the Army Day, Abed Tahan their main competitor in home ware selling just pulled off. In an uncomplicated creative move, the camera becomes a moving cannon (no pun!) - I could have disposed of the silly tagline which goes "your image is engraved in the heart" but all in all the calmness of the ad shines through. Well done!